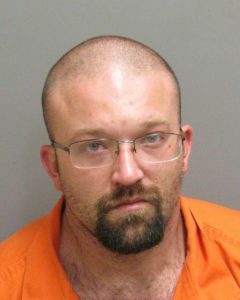 Montgomery County, Ala. – A Montgomery County man will serve more than eight decades in prison for shooting and killing a man, and then setting his body on fire in an attempt to get rid of the evidence. Christopher Brian Cearley, who was convicted by a Montgomery County Jury of the murder of John Dubose, was sentenced today to 85 years in jail by Judge Johnny Hardwick. On July 22, 2015, Dubose was sitting in a chair in Cearley’s house on Capitol Avenue, when Cearley walked up from behind him and emptied his semi-automatic weapon into Dubose. Cearley then took the deceased victim to a hay field in Elmore County, where he set Dubose’s body on fire in an attempt to cover up his heinous crime. District Attorney Daryl Bailey praised Deputy District Attorneys Damon Lewis and Ben McGough of the Violent Crime Unit for their hard work in this case, as well as Investigators John Wilson and Callie Clark. He also thanked the Montgomery Police Department, specifically lead Sgt. Guy Naquin.